From seaweeds to milkfish – PROCESS-BOHOL, Inc.
For years, they tried guso but failed. Perhaps because the current off the coastal waters in barangay Songculan in the municipality of Dauis, Bohol is very erratic. And worse, their guso farms were severely damaged by “ice-ice”, which is often spoken as a disease but actually a symptom of growth stress characterized by the whitening of segments between branches. Guso is a local term for seaweed Eucheuma sp. It was from the project that they got a name for their organization, the Songculan Guso Farmers Association (SOGUFA). With this bad experience, the solid membership of 17 families, mostly fishers, decided to try another communal project in bangus (milkfish) mariculture out from the 500 fingerlings and construction materials provided by the Office of the Provincial Agriculture (OPA). Mariculture is a kind of aquaculture involving the cultivation of marine organisms for food and other products in open seas using fish cage. During a harvest in 2007, they were able to get a hefty yield of almost 6 tons amounting to half a million pesos. 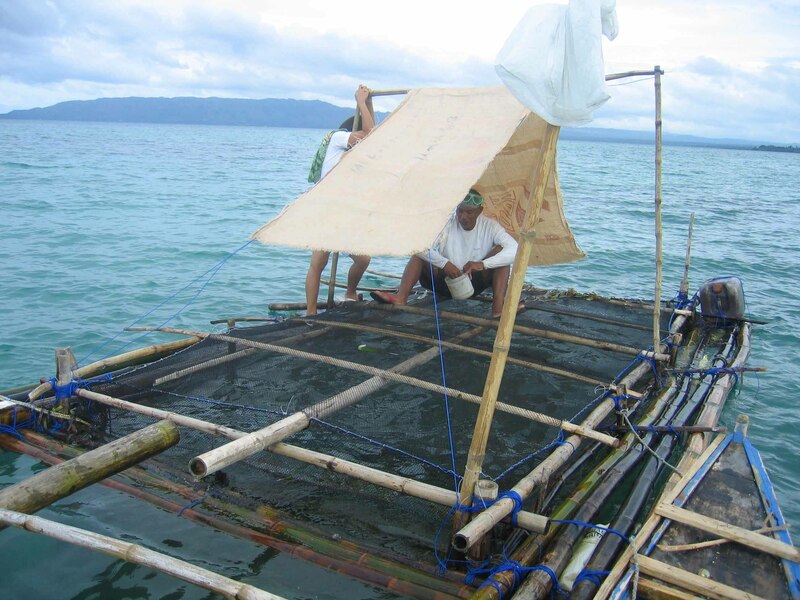 Knowing its viability and suitability in the area, the SOGUFA members established their own fish cages nearby. The success has made their chairperson Johnny Obispo an awardee at the provincial and regional levels as the Outstanding Fish Farmer of the Year. It is attributed to the development interventions extended by PROCESS-Bohol which started with the Bohol Marine Triangle Project (BMTP) in early 2002 and continued with the Fishery Development Project (FDP) up to the present. Also providing financial, material and technical assistance are the Bureau of Fisheries and Aquatic Resources, the Department of Labor and Employment, and the Provincial Government of Bohol, particularly the Office of the Governor and the OPA. 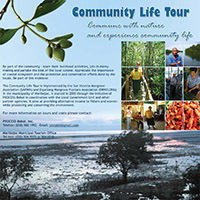 BMTP is a consortium project of the Bohol Alliance of Non-Government Organizations (BANGON) jointly funded by the Foundation for the Philippine Environment (FPE), United Nations Development Programme (UNDP) and Global Environment Facility (GEF). While FDP got its funding from the Netherlands Organization for International Development (NOVIB/Oxfam-Netherlands).